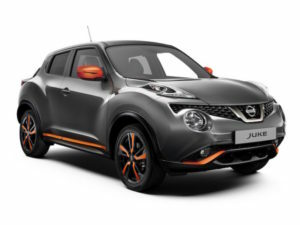 Nissan has refreshed its Juke compact crossover with new styling, personalisation and technology. Unveiled at Geneva, 2018 model year Jukes receive exterior changes including a revised front grille, headlights, new alloy wheel designs and the addition of LED fog lamps as standard from Acenta grade. Change also see the N-Connecta grade replaced by a new BOSE Personal Edition trim, which features the BOSE Personal audio sound system with six high-performance speakers, including two BOSE UltraNearfield speakers built into the driver’s seat head rest. The upgraded Nissan Juke is on sale in the UK from May 2018.